The classic 1968 series starring Patrick McGoohan is the featured Blu-ray deal this week at Amazon! 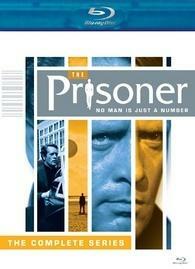 The online retailer is now selling 'The Prisoner: The Complete Series' for only $25 (75% off suggested list price). The 5-disc set includes all 17 episodes of the show and loads of supplements including commentaries, featurettes, trailers, a retrospective documentary, and much more. Click here to take advantage of this excellent sale now! The deal will run from now through July 9.